Her tears has more power than any nuclear weapon in the world. Brilliant! 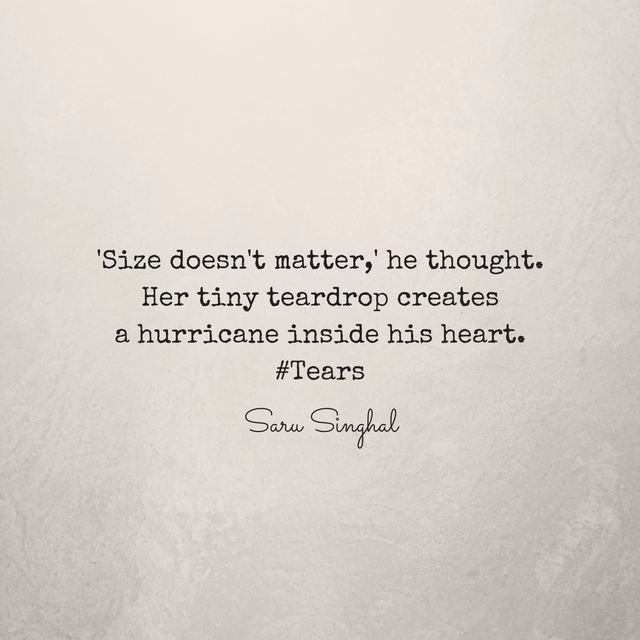 Nothing like a drop of tear to unleash an ocean. Beautiful, Saru! Such few words and so powerful in its meaning. Wow! Such words and meaning..
Really size doesn't matter. That is why your three-line composition carries so much emotion! Beautiful words ! Few in quantity but rich in emotion and thoughts. 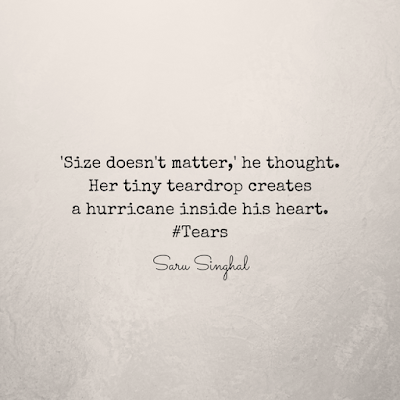 Size does not matters but teardrops does. Good one Saru! People are experiencing significant atm troubles now as a result of the atm challenges in India , I attempted Nearest Atm spots in India , it is usually fantastic app to check the nearest atm . Lovely. Everything needs a right size. A drop of water to a seed, a pollen to a flower can lead to new life. Similarly a drop of poison, a word in anger can take a life. Wow! I love all your Hashtag stories :) Keep writing. by the way, I love reading you in doses of 2 or 3 posts at once.